Arbitration agreements are increasingly common in nursing home contracts. 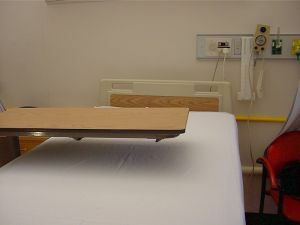 Arbitration agreements stipulate that if there is a dispute between the nursing home resident and the nursing home facility, it must be handled via binding arbitration rather than in a court of law. This can make it difficult for plaintiffs to pursue legal action to obtain full compensation in cases where a nursing home has failed to live up to patient obligations. Arbitration agreements can seriously curtail the rights of nursing home residents, and are part of an effort by nursing homes to reduce the potential risk of liability they face. In other words, instead of stepping up and making sure that the homes actually do right by patients, nursing homes are instead trying legal tricks to make it harder for plaintiffs to get damages after they are hurt. Because this is just one of many ways in which nursing homes are treating patients unfairly, it is important to do your research carefully and even consider having a lawyer look over agreements with a nursing home before you sign and move in, or before you move your relative in. If nursing home neglect or abuse has already occurred, it is important to speak with an experienced nursing home injury lawyer in Massachusetts. Recently, the Massachusetts Supreme Court addressed one case where an arbitration agreement had been signed by a proxy. A man moved into a nursing home run by Kindred Healthcare Inc. He had a health care proxy in place and his wife had the authority to make medical decisions on his behalf because he was unable to do so. When he moved into the nursing home, the wife signed a contract that included an arbitration clause. The man died in the nursing home, allegedly because of substandard care provided by the facility. His estate tried to sue for the negligence that may have caused his death but the nursing home tried to enforce the arbitration agreement so that the case would not go to a jury. The Massachusetts Supreme Court, however, did not allow this to occur. The court looked at the question of whether the health care proxy statute gave his wife, the health care agent, the “authority over any decision other than medical treatment.” The court said no. Medical treatment is defined as including “medical services, procedures or treatment of the [patient’s] physical or mental condition.” The health care proxy statute does not include any information about waiving a right to trial by jury or about agreeing to binding arbitration. Agreeing to binding arbitration is not a healthcare issue and the wife who signed the contract thus had no authority to waive her husband’s right to sue. The case would have come out differently if the wife had general power of attorney, because she then would have been table to enter into an agreement on her husband’s behalf. Fortunately, however, in this case, the court did limit the ability of the nursing home to coerce these elderly parties out of the right to a trial by jury. If you’ve been injured by nursing home abuse, contact Jeffrey S. Glassman for a free and confidential appointment to discuss your rights. Call 1-888-367-2900.